Gaksital: I have yet to finish my beloved Gaksital - the emotional toll of the remaining episodes has me a little scared. I know, I know, I just need to finish it already and put up the bazillion screenshots I have of crazy, crazy Shunji, and our beloved Kang To-ah. So please be patient, the posts are coming. Arang and the Magistrate: How can a show be so funny-cute-dramatic-action-packed-spooky-creepy-well-acted-nicely-shot-fantastic? I seriously get equal measures of being creeped-out, and then swooning with the cuteness (and Lee Joon Ki's hotte adorableness), and then laughing out loud at the lovely, silly witty banter between Shin Min Ah and Lee Joon Ki. And the screenwork and soundtrack have been lovely. Here's to some more lovely-awesome-spookiness! Faith/The Great Doctor: It's finally got me in the heart. Lee Min Hotte had me from the get go, but now he is smouldering up the screen with the blossoming warrior-king bromance. It definitely took a little while to find it's groove, but the show is starting to be awesome. It also doesn't hurt that the epic soundtrack is finally starting to match the scale of the story (the story had to up it's ante). And the cinematography has gotten more interesting. Yay! Haeundae Lovers: I actually forgot I was watching this show. It's no masterpiece, but I love how seriously it doesn't take itself. And it's just super-silly-funny. And dude, Kim Kang Woo is hotte. I need to catch up on this one. To the Beautiful You: Yeah, I haven't really caught up with that one yet. I think I am half way through the third episode, I think. So far - terrible editing, but still delightfully entertaining. And Min Ho hasn't been half bad. I must say that I just love Kwanghee and his lip-balm applying. Nice Guy/There's No Such Thing As Nice Guys: I'm not really sure why I continue to watch melodramas. There is always this element of "why the heck did you do that? that is not logical at all? now I have to suspend my belief for this one thing, so that this overly convoluted story can play out". Yeah. That said. 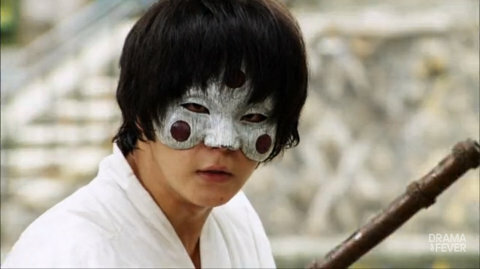 I ❤ Song Joon Ki's raw, wrenching performance so far. Moon Chae Won is as doing a fantastic job as the icy chaebol princess (though why Kim Yeong Chul has to be her evil dad again still makes me wonder), and I really appreciate Park Si Yeon's performance because I already despise her. Wait, is that how I am supposed to feel? And at least we have the chronic illness card being played up front. That's so much better than two episodes from the end of the drama. All in all, it's off to a good start.